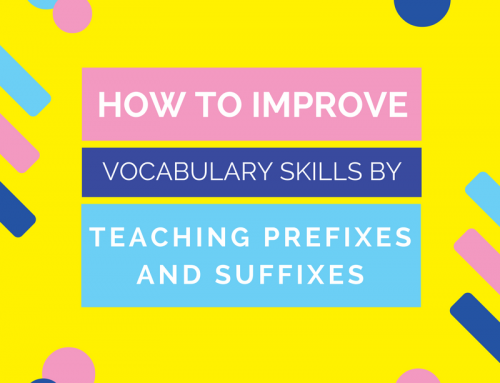 Learn how to teach vocabulary words in a way that is easy and painless! 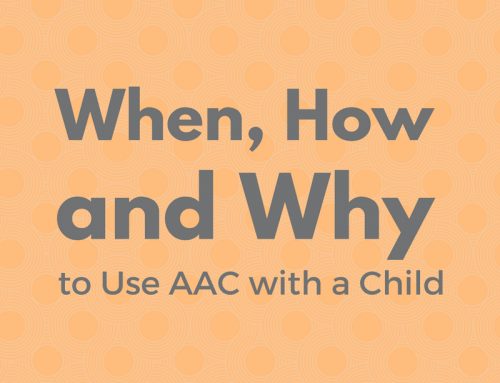 Does your child have vocabulary problems? Does your child have trouble learning new words? Here is the procedure we use in speech therapy for how to teach vocabulary words. 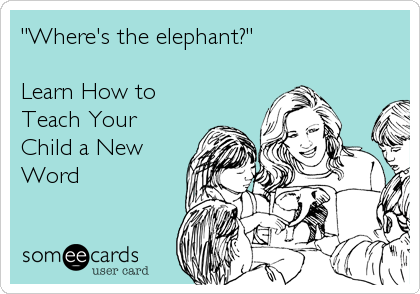 You can do this at home to improve your child’s vocabulary as well! Choose a word: It is important when teaching your child new words that you focus on one word at a time. This will help your child learn the word faster and allow you to teach him more words in a shorter amount of time. When trying to decide what word to teach your child, think about something that he sees frequently in his daily routine or something that you say a lot when speaking to your child. For example, if you’re always telling your child to get his shoes or to go get a book, you could pick “shoe” or “book” as a target word for your child. Put two objects in front of your child (one being the target word) and ask your child “Where’s the ____”. Reward your child with praise and/or a toy or food he likes when he finds the right one. Once he gets better at that, start adding more objects in front of him. Try the same activity with three or four objects in front of him. Find pictures of the object in books or online (google image search) and have your child point to the object when you name it. Saying the word out-loud: Once your child is able to point to or find the object or a picture of the object when you say it, you will want to work on having your child say the word also. Here are some activities to help your child be able to speak the word. Have your child imitate the word after you say it. Show your child the object and tell her “say _____”. When your child imitates the word back to you, reward her with praise and/or a toy or food she likes. If your child isn’t speaking yet, help her make the sign language hand-sign for the word. When you see the object or a picture of the object, ask your child “what’s this?”. Wait for a minute to see if she will come up with the answer. If not, say the word for your child and have her say it back to you. 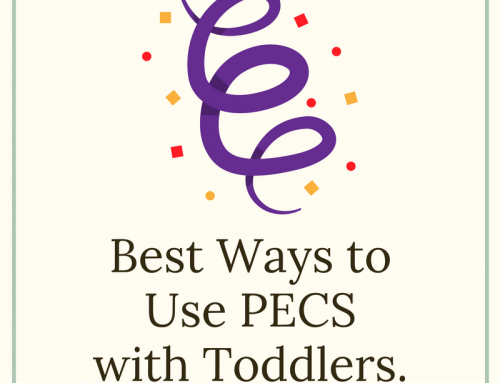 If the word you chose is something that your child really likes, try putting the object out of your child’s reach and don’t give it to her until she asks for it by name. If she is reaching but not saying the word, try to give her a little prompt to get her started. You could say the first sound or two of the word and see if she can remember the rest, or just move your mouth like you’re going to say the word but don’t let any sound come out. For example, if your child wants “bubbles”, you could put your lips together like you are going to say the “b” sound but don’t really say it. Then, if your child still doesn’t say it, try just saying “buh” and see if she can say the rest of the word. 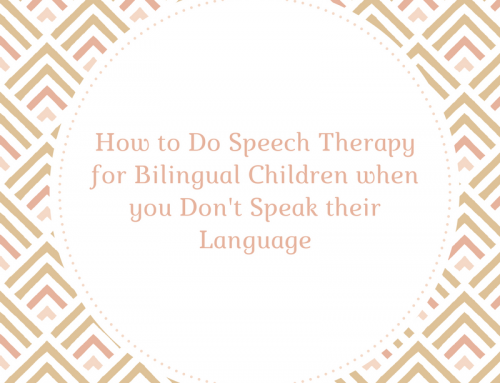 This process may take a while and you will probably have to repeat the word MANY times before your child starts to learn it so have patience! Stick with it and you will be able to teach your child many words this way! For more great tips on improving your child’s speech and language skills at home, don’t forget to sign up for our email newsletter!